Viking raiders were feared across Europe for centuries. 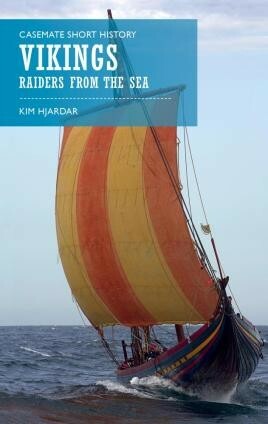 This short introduction to the world of the Vikings looks at their way of life and why their raids were so successful. From the 9th to the 11th century, Viking ships landed on almost every shore in the Western world. Viking ravages united the Spanish kingdoms and stopped Charlemagne and the Franks' advance in Europe. Wherever Viking ships roamed, enormous suffering followed in their wake, but the encounter between cultures changed both European and Nordic societies. Employing sail technology and using unpredictable strategies, the Vikings could strike suddenly, attack with great force, then withdraw with stolen goods or captives. Viking society was highly militarised, honour was everything and losing one's reputation was worse than death. Offending another man's honour could only be resolved through combat or blood revenge. This short history of the Vikings discusses how they raided across Europe even reaching America, discussing their ships, weapons and armour, and unique way of life. I enjoyed reading this book, there was a lot I didn't know about Vikings, including their faith system, which contrary to popular belief, doesn't just include Valhalla...a well-written, interesting book. This little 'Casemate Short History' was written by a very enthusiastic historian who has focused for years on Viking and medieval European history. He knows it intimately and explains it well.